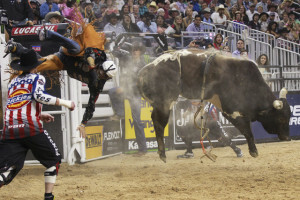 See The Cowboys At The Professional Bull Riders Championships 2019. You’re in America, son… the only thing that counts is dressing like Wyatt Earp and lasting more than a few seconds. We Are, Of Course, Talking Bull. 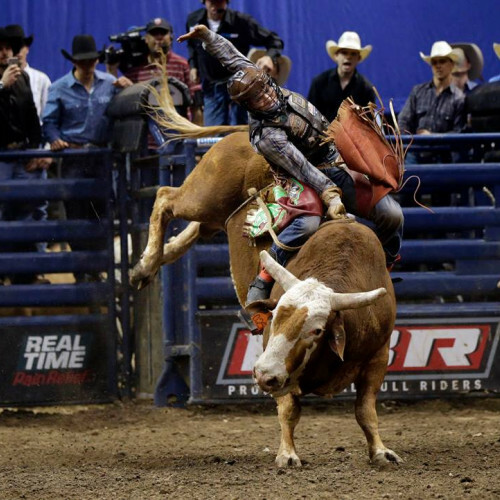 One thing is for sure - We’ve seats, VIP tickets and Hospitality Packages to all the rodeo events at the T-Mobile Arena, luxury accommodation at the famous MGM Grand Hotel and access to the esteemed Bali Hai Golf Course should you need time out from all the bucking excitement. For a bucking great time, just click the bucking link! For a bucking great time, just click the bucking link! Learn to talk like a cowboy!